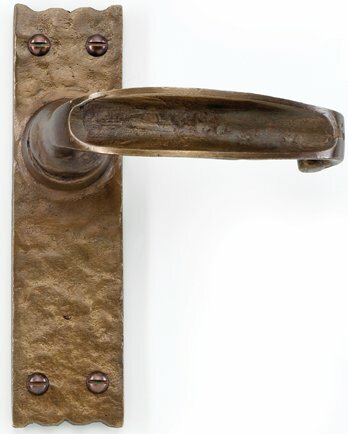 Oil rubbed solid bronze traditonal antique style door handles by Louis Fraser. Cast from solid bronze and passed through a series of hand applied chemical processes to help achieve this natural patina, and then finished with a thin coating of beeswax. Backplate 152mm x 38mm, lever length 102mm.